DRM. Digital Rights Management. The mortal enemy of the honest, paying consumer. I have long been a fan of digital media. The idea of being able to access any one of the thousands of songs in my large music library made me an early adopter of the mp3 format - even if it meant ripping hundreds of CDs and naming thousands of tracks. When ebooks made their first appearance I invested heavily. When movies and TV shows became available digitally I quickly transitioned from my large DVD library to the more convenient digital file format. It still bows my mind that wherever I go I can have my entire music library and book library and audiobook library with me - along with any films or TV episodes that I am currently watching (or want to watch in the near future). What I am saying is that I have embraced digital media since the 1990’s and have seen various digital media platforms come and go. I have always tried to purchase my digital media from legitimate sources. I have often suffered for doing this instead of simply pirating the content. Because of, you guessed it, DRM. DRM is a serious topic this week because Microsoft has just closed its online bookstore. And it will be removing access to all the books that customers have bought over the years. At least this time they are giving their customers refunds. A long time ago Microsoft was at the forefront of the whole move to ebooks with a PC based app called ‘Microsoft Reader’. It had a book store and its own, proprietary DRM file format with the .lit extension. I bought many books there. Eventually Microsoft shut down the store and cancelled the app. I was left with a library of books that I had bought and could (and still can) no longer officially read (there are ways around this - thanks Calibre!). This moves us on to the real topic - in this age of digital media, what do you really own? The Week: Can someone inherit your digital media? 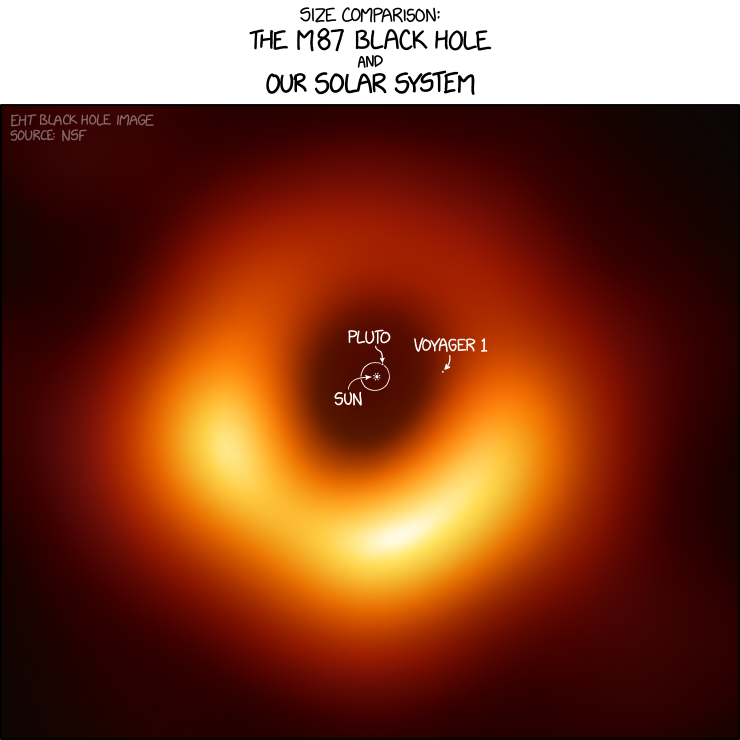 You have probably seen the image of a black hole captured this week - the first one ever! How about talking about IT’s role in capturing the image? First it was only possible to create the image by linking radio telescopes across the globe in a network to create one massive telescope with a ‘lens / dish’ that is The size of the earth. The telescopes were synchronized using atomic clocks. The telescopes captured the data in April 2017. Yet we are only seeing the image now - because of the time taken to process the data, wreck it and write papers about it. Next is the matter of data - there were over 5 petabytes of it. It took 3 days to capture the radio data - with each telescope capturing around 350 terabytes of data per day. There is no way that this data could be transferred using a network - so it was stored on physical hard drives and flown to a central point for processing. Physically speaking, tons of hard drives were used!!! Finally there is the processing. This is a good case for showing what supercomputers can do (and are used for). As powerful as these machines are, it took two of them to process the data - and that process (including refining the software) took a year to complete! Mars might soon have its own first powered flight! Face recognition technology abused to steal Chinese man’s life savings - whilst he was asleep! British woman arrested in Dubai over insults posted on Twitter. Be careful what you post!